Working hard on a new series…McCabe Homecoming. 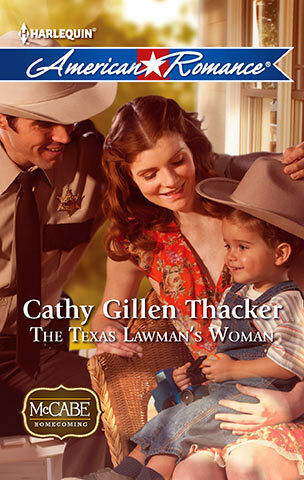 Here is a sneak peek at the cover of the first book in the series due in May, The Texas Lawman's Woman. She's no damsel in distress, but Shelley Meyerson may just need a white knight like deputy sheriff Colt McCabe. Thanks to her scheming ex-husband, Shelley's about to lose her home. The last person she wants to turn to for help is Colt, the guy who broke her heart the night of the high school prom. But now that she's back in Laramie, there's no avoiding him—especially when they're both serving in the same wedding party.